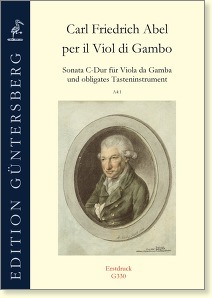 This small sonata for viola da gamba und obbligato keyboard instrument by Carl Friedrich Abel is based on a single preserved viola da gamba part. For our edition, the keyboard part was reconstructed true to the original style by Wolfgang Kostujak, so that this work can now be played. 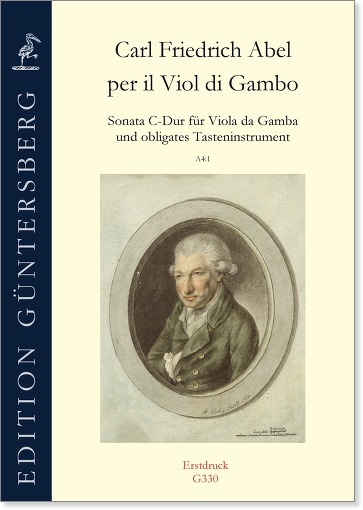 It is Abel’s only composition for this combination of instruments, but one of a series of analogous works from the early classical period by Johann Christian Bach, Carl Philipp Emanuel Bach, Christoph Schaffrath, and Johann Pfeiffer. If you like these works, then you will also enjoy the present sonata, which does not place great demands on the player.